ou and I are almost 2X as likely as certain other ethnic groups our age to develop diabetes. It is a statistic that is all too scary, and very real to the 4 Million of us over the age of 20 that have diabetes. Some statistics quote 1 in 4 of us over the age of 55 have already developed this disease. Many allow it to go undiagnosed for far too long which can result in amputations, blindness and death due to complications. Let’s take action on the things that WE CAN control such as our cholesterol, blood pressure, choice of diet and recreational activities. To reduce the potential for an epidemic we can employ changes to our lifestyle to include regular exercise and maintaining a healthy body weight as these two factors are precursors to Type II which makes up almost 95% of all cases of diabetes. 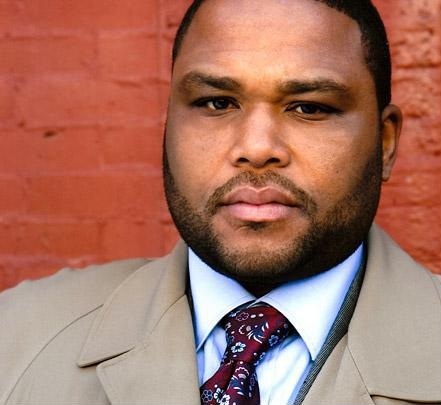 Actor and comedian Anthony Anderson lost his father to this disease and has been living with type II diabetes for 15 years before recently becoming a part of the F.A.C.E. (Fearless African-Americans Connected and Empowered) Diabetes initiative to bring awareness and educate African Americans. This grassroots movement which is supported by Eli Lilly and Company will facilitate the overall well being of people with Type II diabetes through implementing programs that nurture the attitude and behaviours necessary to manage their condition. We can’t control our age, ethnicity or heredity. Let’s take action on the things that we can control such as our cholesterol, blood pressure, choice of diet and recreational activities. BM, please begin with a visit to your doctor! Studies have proven that some of us who have a “predisposition” or increased likelihood of developing diabetes due to heredity can dramatically reduce our risk with these lifestyle changes and the help of a physician. We can greatly reduce and possibly eliminate our risk of developing diabetes and many other health conditions that affect us, by simply making a proactive decision to live a better healthier life for our families! Straight up. I’m booking a full physical that includes diabetes and prostate exam asap. Over 30 year old black men, keep your health tight! Good looking out Suave!